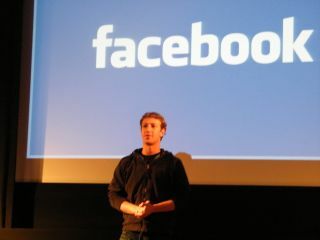 Facebook to become major force in Hollywood? Will Tinseltown increasingly rely on Facebook for movie distribution? Facebook could well become a major force in Hollywood movie distribution, according to one of the social network's primary investors. Venture capital firm Accel Investing is Facebook's second-largest shareholder after founder Mark Zuckerberg - and is currently directing a significant amount of capital into certain Hollywood studios, hoping that Facebook will become an increasingly important movie distribution force in the near future. Accel recently dropped a cool $40 million investment in Legendary Pictures, the producer behind recent box-office favourites such as The Dark Knight. Meanwhile, Warner Bros is already trialling movie rentals using Facebook, with The Dark Knight already available for US viewers to watch via Zuckerberg's website - for a fee. "We believe there are a number of extraordinary opportunities that sit at the intersection of content and social networking platforms like Facebook," hoping that Facebook will be able to provide Tinseltown with "multichannel distribution capabilities for video content beyond classic theatrical and television release." "At the heart of what Facebook is trying to do is enable outstanding content and application developers to develop breakthrough video and media applications," the Facebook investor added.